Let the expert techs at AAMCO South Tampa, FL diagnose and solve the driveline vibration issues in your car, truck or SUV. Power from the engine and transmission are transferred to the wheels and tires through your drive shaft's, axles, CV-joints, U-joints, transfer cases, differentials and wheel hubs. These parts are generally strong enough to last a very long time but if you hear clunking, whining, a squeaking noise or feel a vibration, it may indicate a problem. 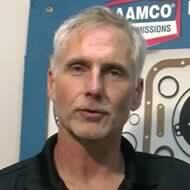 To avoid problems or failure, have your vehicle checked by AAMCO South Tampa, FL's trained professionals. Your AAMCO certified technician will diagnose your vehicle right and make recommendations for whatever service is necessary. It is our comprehensive diagnostic approach that sets AAMCO South Tampa, FL apart, so that you only get the repairs you need and your car, truck or SUV is back on the road as soon as possible.